We were tasked with the challenge of revamping a Victorian garden in West Ham, taking into account the client’s love of gardening! The clients have lived at the property for over 20 years and landscaped Victorian garden design many years ago. However illness prevented regular use and maintenance of the Victorian garden and the once beautiful space became tired and overgrown. 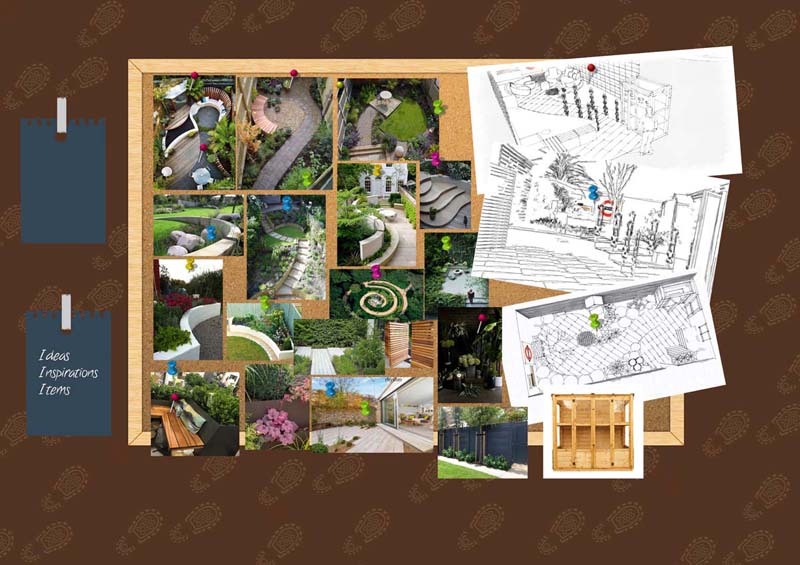 The clients would like to revive their love of gardening by making the space more accessible, with plenty of raised beds and the opportunity to stamp their own mark on the space as the garden grows. This Victorian garden design that we created, focusses on the client’s love of gardening. 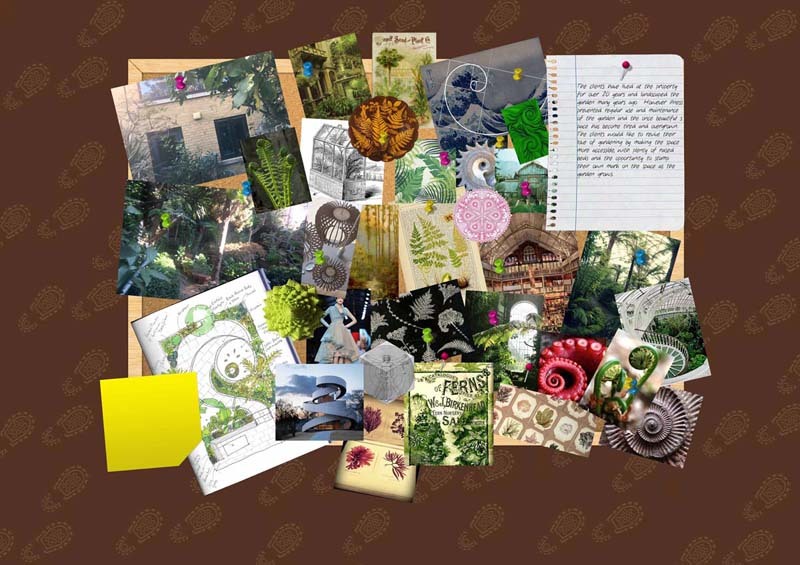 Based on a Victorian plant hunters’ botanical theme, the planting is all about foliage. To set the plants off to their best, the garden boundaries will be clad with contemporary horizontal softwood timber slats and painted black. 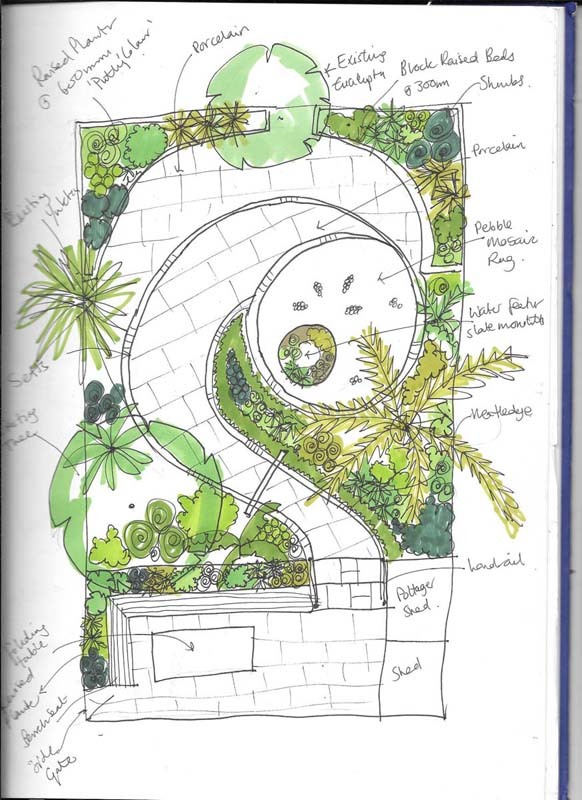 The lower area of the garden adjoining the house will be restructured to create a larger more useable area, with a curved retaining wall across the Victorian garden design. To the left of this will be a fixed seating area comprising fibreglass planters with a built-in timber bench. To the right, will be a Victorian inspired mini greenhouse. New curved steps will be constructed opposite the back door. These steps will be wide and shallow and include architectural salvage Victorian railings and handrail for easy access to the upper garden. A sandstone paved circle will wrap around the corner of the house using a 3/4 of the slabs. 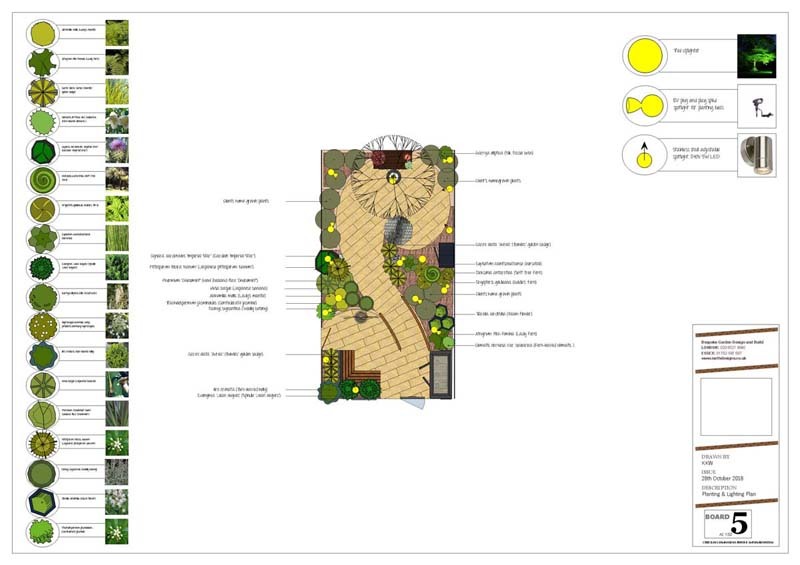 The existing shed will be relocated to the top left corner of the garden, with access provided by a curved sandstone path running from the circular patio adjoining the house. 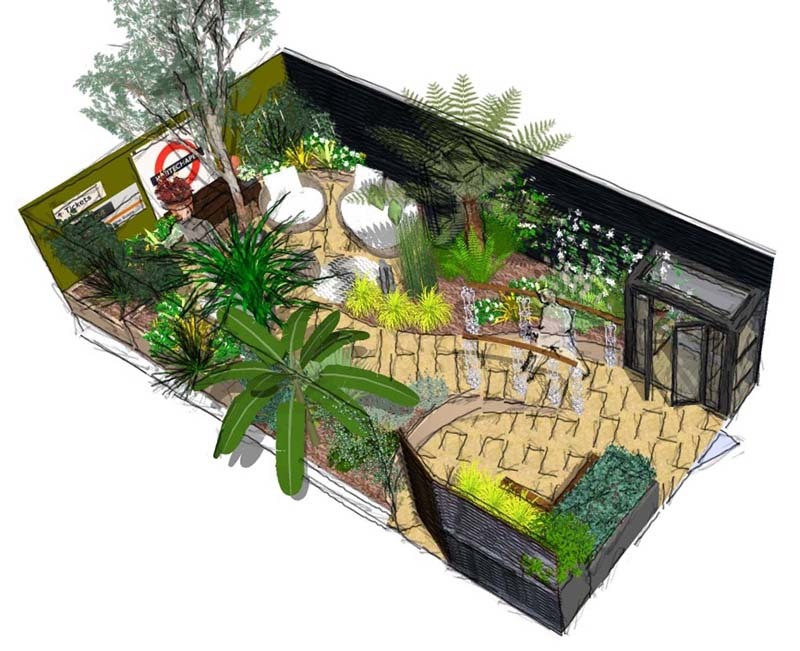 The right hand section of the garden will include a wide rectangular hardwood deck stretching from the conservatory door to the rear boundary. The deckboards will continue up the fence to create the illusion of depth. The decking will be large enough accommodate a dining table and chairs or a couple of sun loungers. 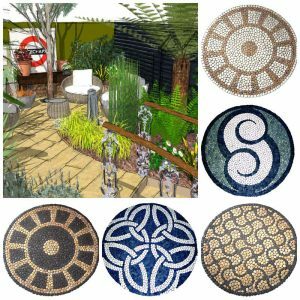 A curved path will run from the decking to a large circular sandstone patio close to the right hand boundary. This patio will be positioned to make the most of the sun throughout the day. To the right of the Victorian garden design, a tall sentry box style storage unit will provide storage for waterproof cushions and garden tools. Paving throughout the space will comprise cream porcelain tiles laid in a diagonal stretcher pattern in a curved spiral motif. 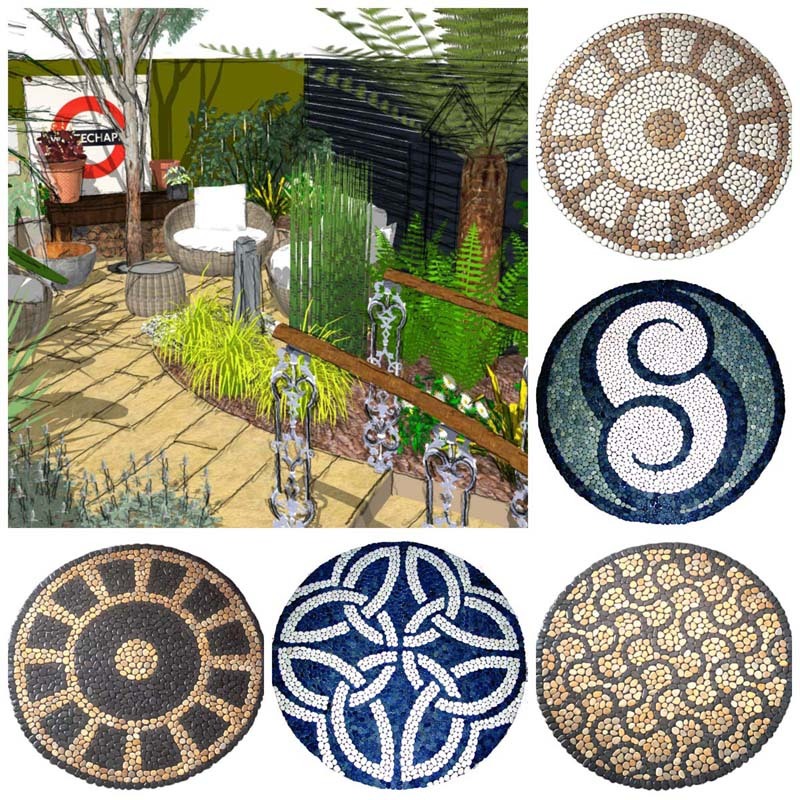 A pebble mosaic ‘rug’ will form the centre of the spiral shape. 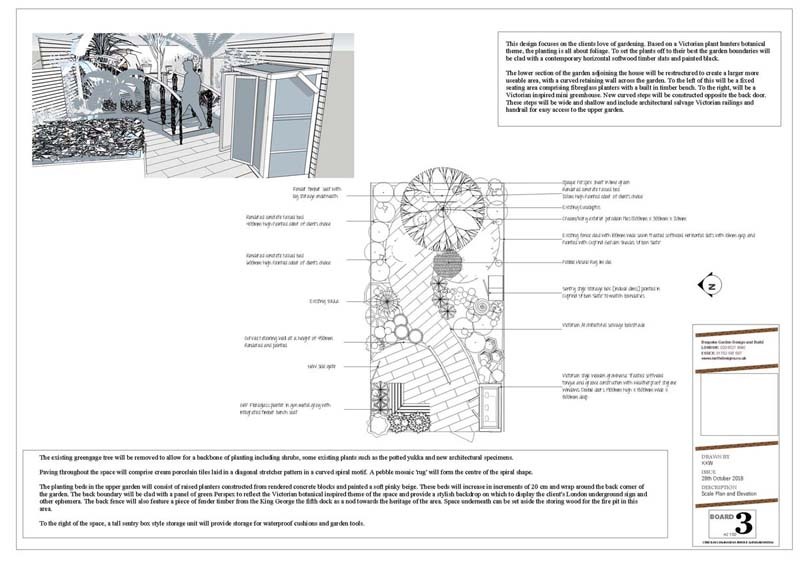 The back boundary will be clad with a panel of green Perspex to reflect the Victorian botanical inspired theme of the space and provide a stylish backdrop on which to display the client’s London underground sign. The back fence will also feature a piece of fender timber from the King George V dock as a nod towards the heritage of the area. Space underneath can be set aside the storing wood for the fire pit in this area. 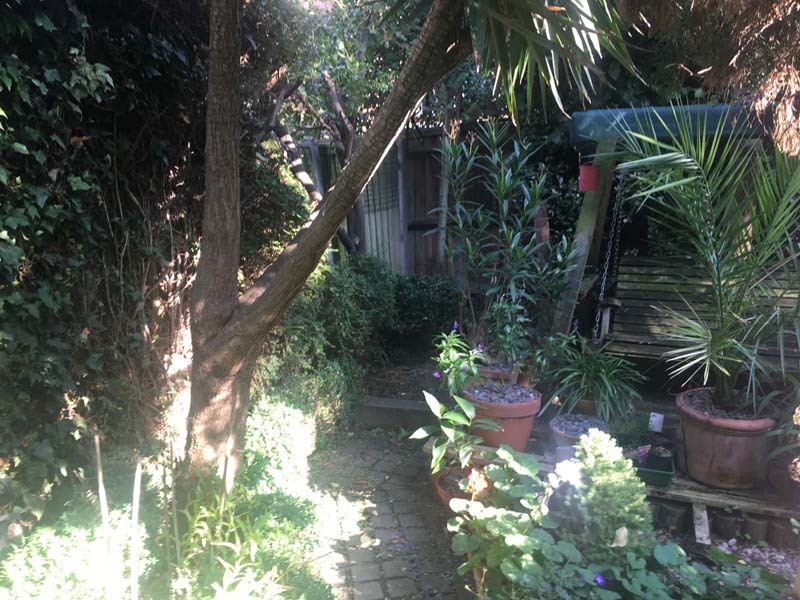 The existing greengage tree will be removed to allow for a backbone of planting including shrubs, some existing plants such as the potted yukka and new architectural specimens. The planting beds in the upper garden will consist of raised planters constructed from rendered concrete blocks and painted a soft pink beige. These beds will increase in increments of 20 cm and wrap around the back corner of the garden.